More From ISPA 2011.. Day Three! Just had to peek in for a minute and share some of my absolute favorite brands at ISPA 2011. This year has been quite an amazing experience for Tres Chic Style. I have been afforded the unique opportunity to meet and chat with the brands, as well as gain insight into the brand's mission and goals. As a media professional I attend presentations, expos and endless conferences each year. None quite compare to ISPA. The association is committed to the Spa industry and allow their members to gain knowledge and internalize information on this constantly evolving industry. The overall feeling at the conference this year was energizing and quite exciting for me. I promise to share my entire experience and even deliver some footage from the expo floor. In the meantime.. Here are some of my faves.. Enjoy! I wish our computers were equipped with smell-a-vision, because OMG.. Tasha & Co. has some of the most sensual and exquisite fragrances ever developed. The line was created out of necessity by Tasha Noriega. Tasha shared her passion for all things natural and wanted to extend her passion into a body and wellness brand that is sure to become spa favorite. The organic line is comprised of scrubs, candles, lotions, oils, shampoos and conditioners. Currently I am totally smitten with the Papaya Lemon Blossom body scrub and polish. My skin has been all kinds of fabulous and glowing while in Vegas, thanks to Tasha! Visit Tasha & Co. for additional information and to purchase of course! I had the pleasure of chatting with Tasha and will include the video footage shortly.... Stay Tuned! And if you've ever been dreaming of a scent that smells good enough to eat.. You have truly directed your browser to the right direction today! 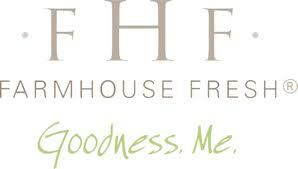 Farm House Fresh Goods is not only Oprah's favorite.. I think it's quickly become mine as well! With luxe body treats like Whoopie Cream (yeah, the kind you eat...), Honey Suckle Custard, Fluffy Bunny Cream and Sweet Cream Milk you've landed into a wonderland of bliss. These products are made with love, creativity and in the USA! The darling founders were super sweet and took the time to share their vision with Tres Chic Style. 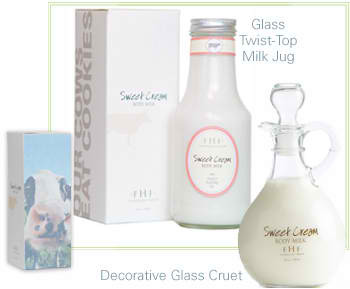 This brand has a myriad of products that can appeal to everyone on your holiday gift list. Visit Farm House Fresh Goods for additional information and I'll post my segment with the founders in a bit..
My apologies for the delay dolls.... I am in Vegas after all! Ha!